Don't miss the Friday Unwind! 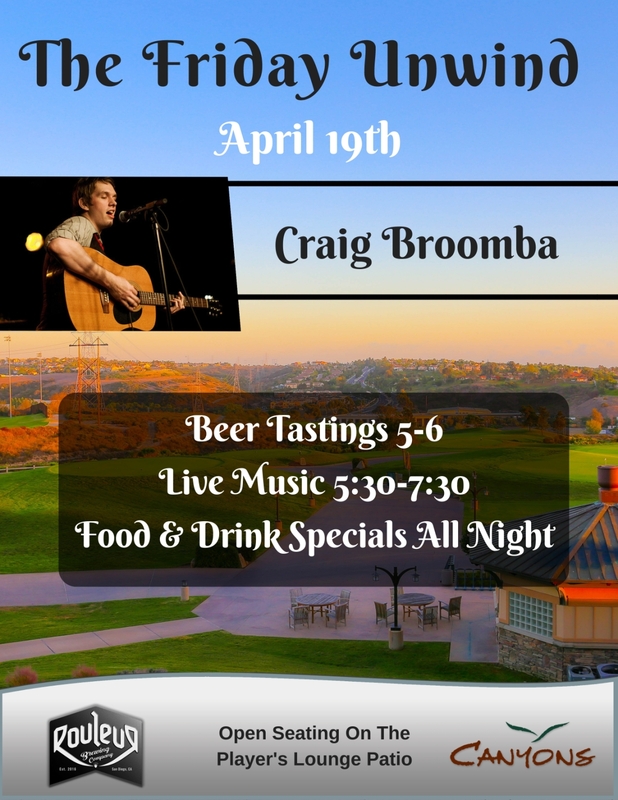 Featuring live music on the patio every Friday Night from 5:30-7:30pm. We'll have vendors pouring tastings of local craft beer, wine or spirits every week. In addition we'll have weekly food & drink specials that run all night! 4/19 Craig Broombaugh Rouleur Brewing Co.